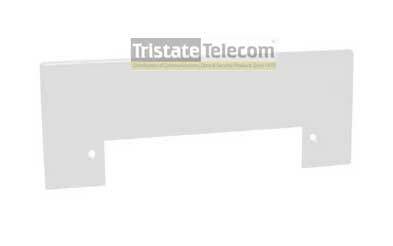 The Model VPANTPW Automatic Dustpan Trim Plate (White) is a trim plate that can be used as a removable front access plate for a Model VPANW Flush Mount Automatic Dustpan. In below cabinet installations, it may not be practical to provide an access plate inside the cabinet bottom for the automatic dustpan wiring. In those types of installations, use the VPANTPW trim plate to provide access to the automatic dustpan from the front of the cabinet.